The City of Cedar Hills owns and operates its own culinary (drinking) water utility system, serving over 2,500 residential connections. This water is provided through City wells and system connections with American Fork’s water system. The City has also constructed a secondary irrigation system throughout the entire community. 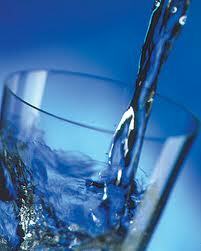 We are pleased to report that our drinking water meets Federal and State requirements. Download recent Drinking Water Quality Reports for the City of Cedar Hills. This report is designed to inform consumers about the quality of the water and services that the City delivers every day. The constant goal is to provide a safe and dependable supply of drinking water. The City wants each customer to understand the efforts that are made to continually improve the water treatment process and protect our water resources. This document has been prepared as an update to the 2010 City of Cedar Hills Drinking Water Source Protection (DWSP) Management Program. The city (Public Water System No. 25137) currently obtains drinking water from two wells located within Cedar Hills in Utah County, Utah. The two wells in this 2015 DWSP Plan Update are listed in Table 1.1. Previously, each source was submitted under a standalone DWSP Plan update. This 2015 DWSP Plan Update combines the two sources into a single DWSP Plan update for convenience. See Figure 1 for locations of the two Cedar Hills wells. The tap water in Cedar Hills is considered “Average Hard” – 280 mg/L or 16 grains/gallon. Cedar Hills does not fluoridate its water, but the water contains a certain amount of natural fluoride, which ranges between 200 and 1240 parts per billion. According to the State, there would need to be about 2000 parts per billion to receive any medical benefits from the fluoride. If you are interested in supplementing your fluoride intake, you should consult with a dentist or pediatrician. The tap water in Cedar Hills contains .04 mg/L (40 parts per billion) of iron. The range may fluctuate between .02 – .06 mg/L. Does the City chlorinate its water? The city’s primary source for culinary water is from deep wells drilled at depths ranging from 700 feet to 1000 feet underground. The city does not chlorinate the water system through mechanical chlorination. However, the city does periodically add a quantified dosage of chlorine granules to the storage reservoir that are then dissolved and transmitted through the piping system. This method is used when the system has low circulation from limited use, during sustained hot weather, when the tank or piping system has been exposed to potential contamination events such as a water leak repair in the main line, or other events as determined by the certified water operators. This method does not have a sustaining residual chlorine measurement in the system, as would a continuous mechanical injection. Typically, the water in the city’s storage tanks is circulated at such a rapid rate that fresh water from our wells is continually present in our culinary system. Both the Harvey and Cottonwood wells are constructed in a way that they could accommodate future chlorination if required. Q: My meter reading is very high. What could be the problem? You may have toilets or faucets that are constantly running or dripping. Check water fixtures in the home, including evaporative furnaces and water softeners, for leaking or running water. You may have house guests or additional family members staying with you. You may be using water from the spigot on the outside of your home. This is culinary water and contributes to your usage charges. In the summer months moderate spot watering of plants and shrubs is okay, but using a hose to soak or sprinkle problem areas of your lawn or garden will significantly increase your usage. There may be a break in the water line. Please contact the Public Works Department, and they will determine if there is a leak. If the break is on the homeowner’s side of the water meter, the homeowner is responsible for the cost of repairing the line. If the break is on the city’s side of the water meter (usually the street side), then the city will bear the cost of repairing the break. You may have a defective water meter. Again, call the Public Works Department, and they will check the meter for defects. A household water pressure regulator is a spring-loaded valve that reduces the water pressure coming from the public water main to household plumbing fixtures. It also prevents main line pressure surges from entering residential plumbing. High water pressure can cause dripping faucets and pipes and may damage household appliances. A properly operating pressure regulator will help prevent these surges and high pressure from entering your home. The property owner is responsible for installing and maintaining the water pressure regulator. A malfunctioning pressure regulator may cause: 1) sustained or initial bursts of unusually high pressure at faucets and showerheads and 2) water being discharged from the relief valve on a water heater. Altering the spring compression on the regulator will change the downstream (house side) pressure. The valve is typically installed where the water pipe enters the home. The best way to determine if the regulator is working properly is to install pressure gauges on each side of the regulator. If the upstream gauge reads higher than the downstream gauge, then the regulator is probably functioning. Most homeowners set their pressure at approximately 50 pounds per square inch. Lower settings will conserve water and prolong the life of plumbing and fittings, while higher settings will have the opposite effects. The homeowner or a plumber can refer to the manufacturer’s instructions for adjustment. Repair kits for rebuilding pressure regulators are usually available from the manufacturer.